This pattern is part of the Fall 2017 Malia CAL (Crochet-Along). To view the other patterns in this collection, please visit the Malia CAL Homepage. Wrist warmers (or wristers, or fingerless gloves, or fingerless mitts) are a great way to keep your hands warm without taking away your ability to function (a.k.a. check your smartphone)! They’re also a great accessory to keep in your car, ready for those cold mornings on the road. I made my samples two-toned, but of course, you can crochet yours up in one solid color. Add a couple of decorative buttons to complete the look. If you need a little extra help with any of the stitches in the pattern, I created a video tutorial for previous Malia patterns in which I crocheted up a swatch of the pattern. You might find it useful to scan through the tutorial if you find yourself stuck at any point! I made some cute printable labels for this pattern that you are welcome to use! If you’re selling or gifting these wrist warmers, a label just ups the professionalism, in my opinion. Print on cardstock for best results! Yarn: 120 yards (total for a pair of wrist warmers) of #4 aran weight. If you choose to do your wrist warmers two-toned like I did, you'll need about 80 yards of COLOR A for the main part of the design, and 40 yards of COLOR B for the ribbing. 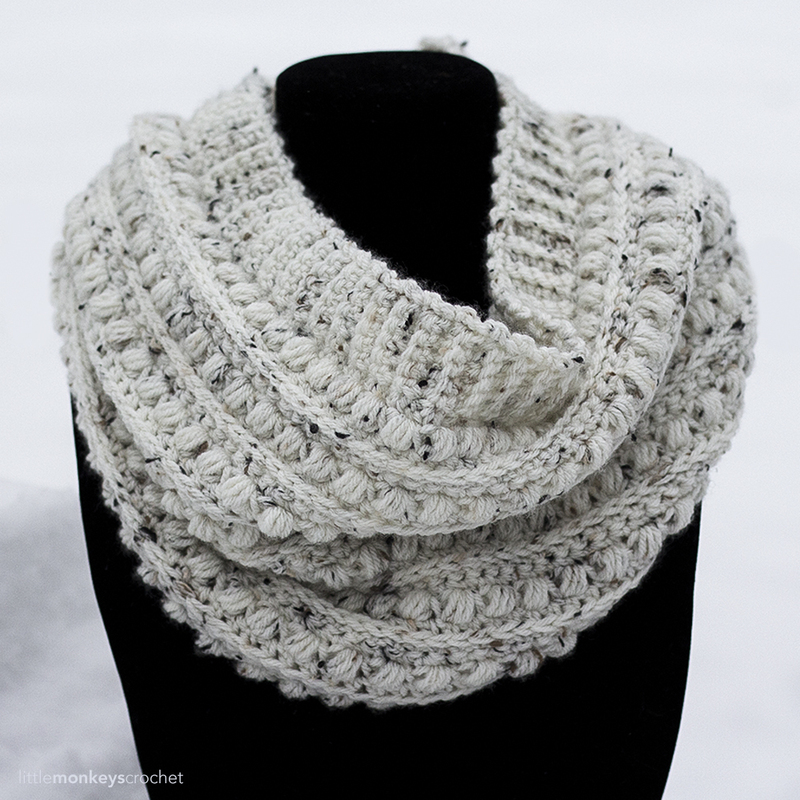 Yarn used in sample photos is Yarn Bee's Rustic Romantic in "Red Roads" and "Sugared Oats". 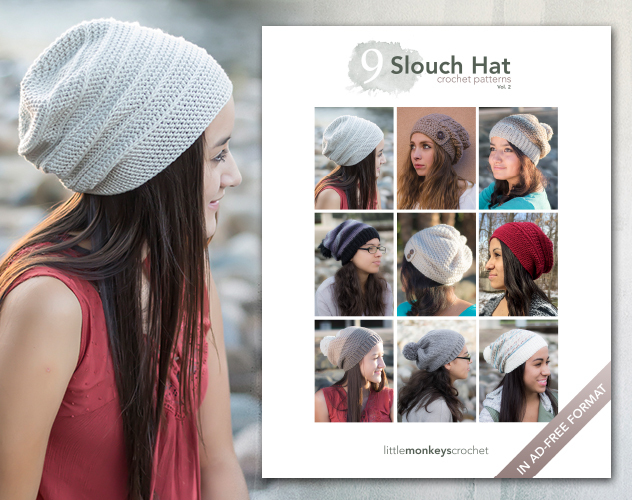 Gauge: The gauge for all Malia patterns is a 16 stitch x 16 row swatch, but because this particular pattern is also based on 16 stitches, it makes more sense to simply start following the pattern. So, to make sure your gauge is on the right track, after you've finished the first 8 rows, measure them; they should measure 2". (The height should be about 4".) Adjust your hook accordingly and begin again if necessary. (3) A video tutorial for the stitch pattern is available up in the post, or by clicking here. To begin: With COLOR A and larger hook, CH17. Rows 17-24: Repeat Rows 9-16. At this point, you should put your thumb in the thumb hole and make sure that the fabric can stretch around your palm. It should be snug. If it is too small, repeat Rows 9-12 to add another inch of width. Row 25: CH1, do NOT turn. SC in same ST again to round corner. Continue to SC across the top edge of the wrist warmer, putting 3SC in each 4-row section. (I visualize each "section" as being the area between each 3rd loop row, so I put an SC directly to the left of the 3rd loop row, one on the bean stitch row, and one directly to the right of the next 3rd loop row, then repeat that sequence all the way across.) Bring the sides together (right side out) and join to the top of the 1st SC with a SL ST. Fasten off, leaving a long tail for seaming. Turn inside out. Seam the edges together, using your yarn needle to go under the 3rd loop of the HDC row and across to the corresponding stitch on the other side. This will create a row of raised top loops along your seam, ensuring that it will blend in with the rest of the similar rows. 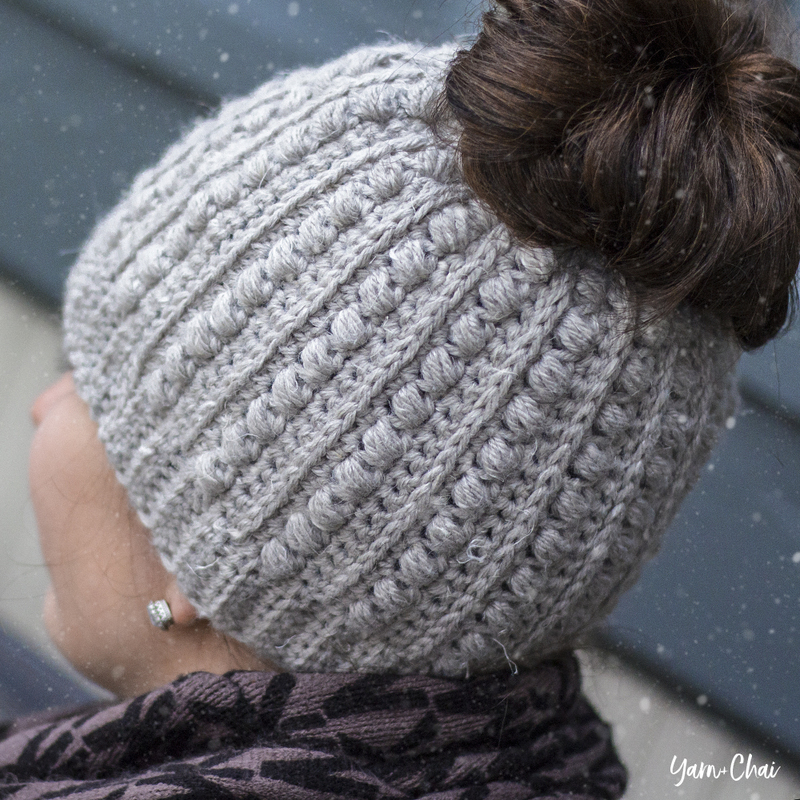 (This technique is demonstrated on the video tutorial for the Malia Beanie + Slouch at the 42:00 mark.) Fasten off and weave in both ends. Turn right-side out. Turn upside down and reattach COLOR A at the bottom, lined up with the thumb hole, and CH1. SC in each row around. (Notice we aren't doing 3SC in each 4-row section like we did before; this time, each row gets its own SC.) You should end up with 24SC (4 per section), but one more or less won't make much of a difference. Join with a SL ST to the top of the first SC. Change to COLOR B; fasten off COLOR A.
CH1. SC in each ST around. Join with a SL ST to the top of the first SC. In the following instructions, this round will be referred to as the "Base Round". Switch to smaller hook. CH11. Rows 5-24: Repeat Rows 3-4 all the way along the Base Round. Reattach COLOR A somewhere on the edge of the thumb hole; CH1. SC evenly around the opening. Join with a SL ST to the top of the first SC. Fasten off and weave in ends. 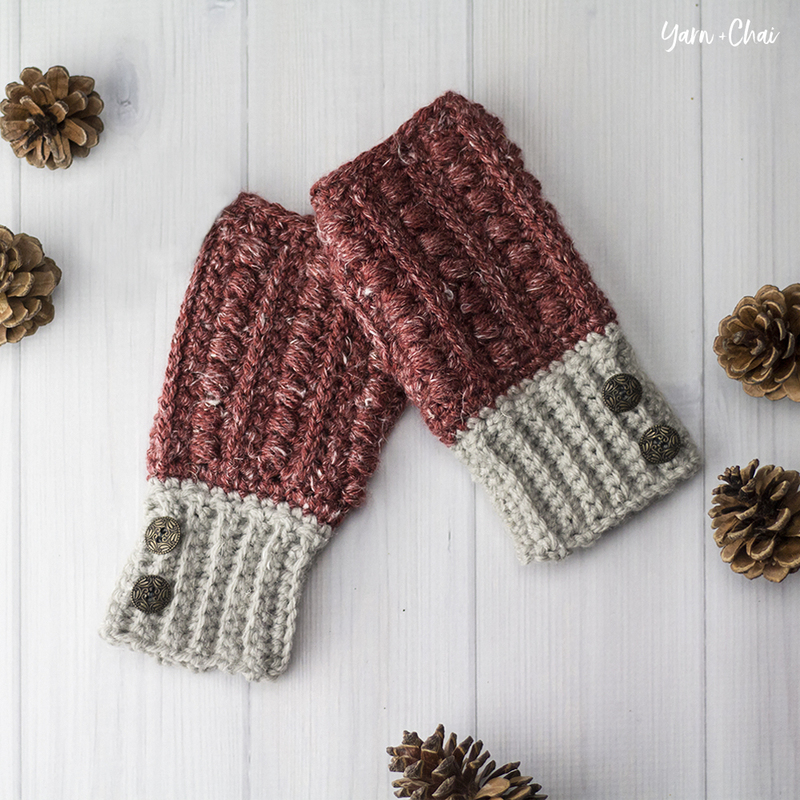 Using your yarn needle and COLOR B, or a needle and thread, attach two small buttons to the ribbing toward the outer edge of each wrist warmer. Done! 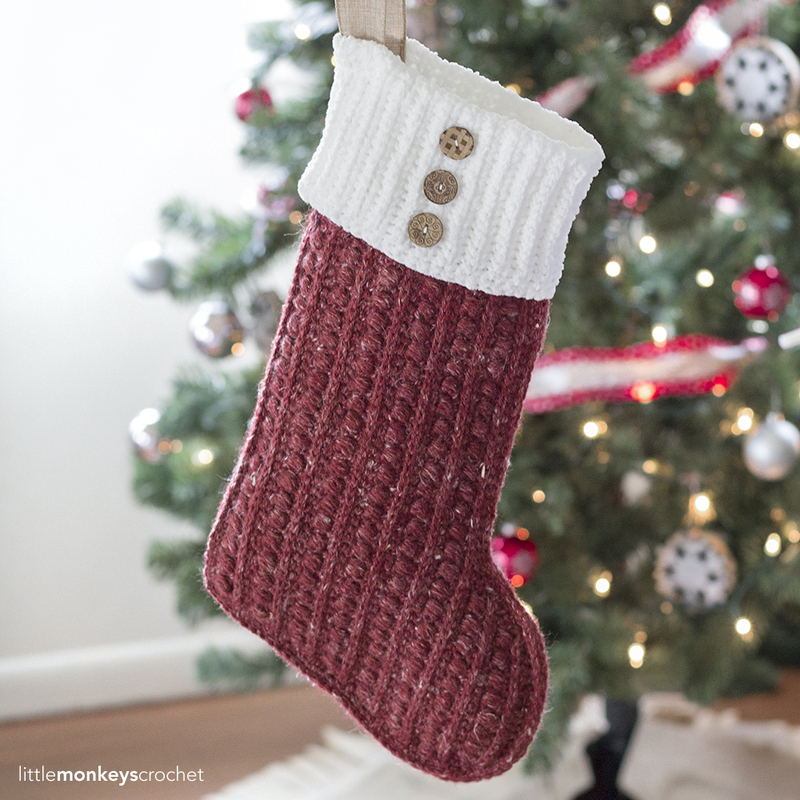 If you're sharing on social media, be sure to hashtag #maliacal and #maliawristwarmers and tag me @littlemonkeyscrochet. Hope you enjoyed it! Thank you, these are super cute. Quick and fast. will make a few of these this holiday season. Hi Crista, good catch! I’ve updated the pattern. It shouldn’t be twisting your wrist warmers, though. I’m not sure what would be causing that. Somehow I lost my PDF, does anyone know where they go! Frustrating…looked in iBooks not there….Help! Hi Anita, from where did you purchase the ad-free PDF – Etsy or my store? Rebecca you are amazing! Your patterns are SPOT ON- not a missed step one. I love your style as well, so up to date! You really have a talent girl friend. There are so many patterns out there that are written so poorly that make me scream out loud, which is so maddening and sad. I’ve made quite a few of your items and haven’t been disappointed yet. I am going to purchase your ad free patterns after the holidays to treat myself. I discovered this website a few weeks ago, and I was thrilled! 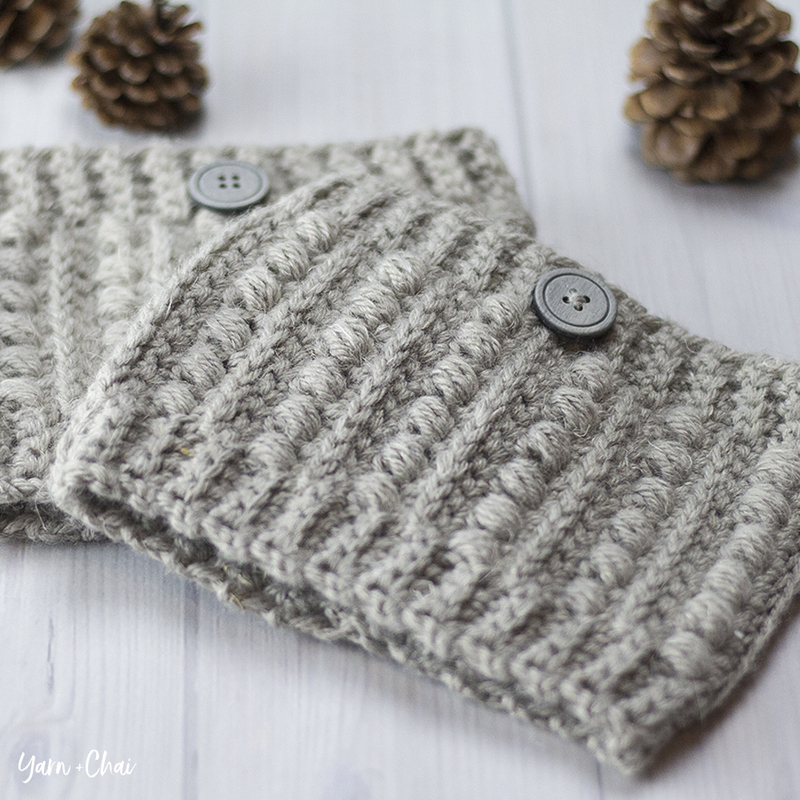 These wrist warmers are so fun and fast, and the matching hat patterns are lovely too! I have already told several of my friends about this site and will continue to do so when the opportunity arises. Thanks so much for making this pattern available for free! Just want ed to tell you; All your patterns are lovely and thank you so very very much for sharing them all!